Back in December, one of the world’s largest — and possibly most flat-out insane — construction projects got underway. Why a new canal? The idea, at least, is that a bigger Nicaragua canal could accommodate the next generation of super-sized container ships that can’t squeeze through Panama’s locks. Nicaragua’s leaders have also promised the project could double GDP in one of Central America’s poorest countries. But that's only if the canal actually gets finished. And that's still a huge question mark. Most press coverage to date has emphasized the potential for complete and utterdisaster. The consortium in charge — the Hong Kong Nicaragua Canal Development Group (HKND), led by Beijing-based telecom billionaire Wang Jing — has little experience with these sorts of projects and was awarded the contract in a secret deal with Nicaragua's Sandinista government. No environmental reviews were conducted beforehand, even though the project runs through Lake Nicaragua, the country's main source of drinking water. Reading the description, it’s easy to see why the canal is so daunting. Workers would have to dig up 175 billion cubic feet of dirt, enough to bury Manhattan 21 stories deep. And they'd have to do it in a country with frequent and intense rain. "Compared to this, the Suez Canal was chickenfeed," Miranda says. In its description, HKND says it will need more than 2,000 pieces of major construction equipment, four billion liters of diesel fuel, one billion liters of bunker fuel for the dredgers, 400,000 tons of explosives, and untold millions of tons of cement and steel. The company would have to import all of this stuff into Nicaragua and build entirely new ports and roads wide enough to fit the big equipment. Miranda's initial take was that, sure, building the canal was possible. But that wasn’t the right question to ask. "We engineers are worker bees," he said. "If you tell us to build a canal, we’ll build a canal. The question is, at what cost? What timeframe?" On that, Miranda was much more skeptical the canal could be built in five years for a cost of $50 billion. That's the price tag promised by HKND, which was awarded the contract in exchange for a concession to run the canal for at least 50 years. For one, no one knows how HKND will actually finance the project. Wang Jing, the billionaire in charge of the consortium, claims he’s spending $10 million of his own money each month, but that’s not nearly enough. Some analysts have speculated that the Chinese government could chip in funds, particularly if it sees the project as a way to exert influence in the Western Hemisphere. But if that financing doesn't appear, this project will be nothing more than an elaborate PR stunt. What’s more, contrary to early reports, HKND hasn't actually broken ground on the canal yet. The company is still engaged in preliminary work like building access roads — work that will last until September 2015, at least. Miranda points out that only a handful of workers seem to be employed for now. "There's not enough for a canal this size," he said. "So, yes, I highly doubt the five years." "As far as I can tell, no one’s studied how that might affect the canal," Miranda says. "Someone should really take that more seriously." In December, Nicaraguan Vice President Omar Halleslevens vowed that one day 5 percent of global commerce will move through the canal. The pitfalls are many. For one, global shipping traffic has been growing at a fairly sluggish rate. 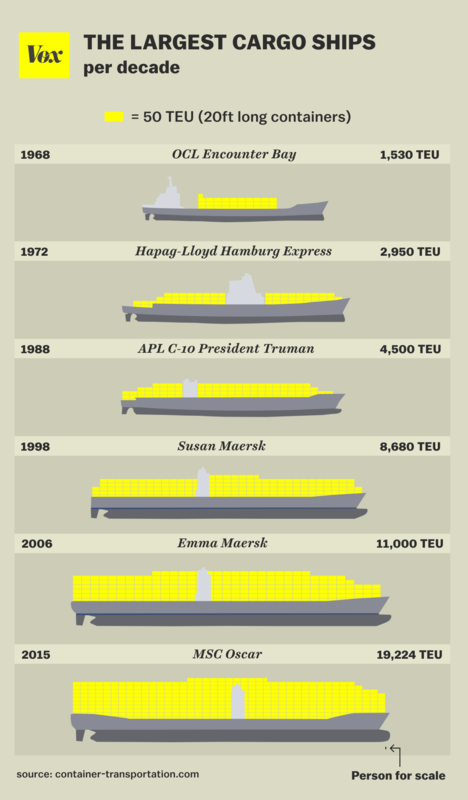 Second, the United States doesn’t even currently have any ports deep enough to fit these massive ships. Third, in the future, due to global warming, there’s a possibility that new Arctic routes will open up that will allow more ships to travel. That all raises the odds the Nicaragua Canal will be an expensive boondoggle that very few shipping companies would ever need or use. Perhaps the biggest concern about the canal, meanwhile, is that construction will run through Lake Nicaragua — the nation's main source of drinking water. Yet there have been hardly any environmental reviews to date. Jorge Huete-Pérez, a vice president of Nicaragua’s academy of sciences, told me that Lake Nicaragua is a national icon — a source of fisheries and tourism, but also a key freshwater reservoir for much of the nation. Indeed, some scientists have suggested that the lake will become vastly more important as a water source in the future if climate change brings more frequent droughts. But in order to build a canal 30 meters deep, HKND will have to dredge an enormous amount of sediment from the bottom of the lake (which is only about 13 meters deep, on average). That could churn up toxins that have accumulated in that sediment. "One big concern is that this could lead to hypoxic conditions that could kill life in the lake," Huete-Pérez says. Another concern is whether HKND will need to use dynamite to break up the rock at the bottom of the lake in order to dredge it. That could wreak havoc on the lake’s ecology. Though the company has said it won’t use explosives, Miranda, for his part, is skeptical. "They’re going to hit rock, and then what will they do?" he asks. "Have they found some magic new way?" Plus, if the canal ever does get built, heavy ship traffic will be passing through, with the potential for oil spills and other pollution. Other biologists have pointed out that the canal’s route will slice through a variety of nature reserves that are homes to some 22 species vulnerable to extinction, from tapirs to jaguars to turtles. The Association for Tropical Biology and Conservation warned that the canal could impede the movement of key species and asked the country to suspend construction until environmental reviews are carried out. So far, however, the project has been shrouded in secrecy. Nicaragua’s government awarded the contract to HKND in 2013 without conducting any environmental reviews first. That process raised more than a few eyebrows — the National Assembly had earlier passed a special law that gave all sorts of special benefits to the contractor, such as immunity from penalties for breaching the contract. HKND now says it has asked the consulting firm ERM to do an environmental impact assessment — something that ideally should have been done in the first place. But that review isn't due out until mid-2015 or later. "So what are the chances this will have any impact on decision-making?" asks Huete-Pérez. "I don’t see any possibility." Given all this, it’s not surprising that a number of people in Nicaragua have been protesting the canal with demonstrations and marches. 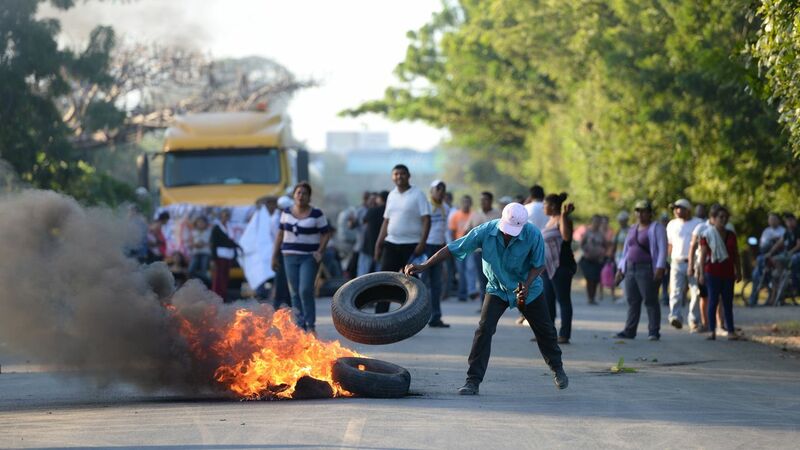 In December, hundreds of people blocked a highway to Mangua. The Nicaraguan government has met protests with heavy police presences, arresting dozens of people — with two protestor deaths recorded in 2014. Among other things, opponents note that people are being forced off their land to make way for the project. The special law passed by the National Assembly in 2012 gave HKND land-expropriating powers, and not everyone’s a fan of how those powers are used. One internal assessment obtained by Scientific American said that HKND’s process for acquiring land for preliminary access roads "did not meet international standards." "One big fear is that HKND will end up abandoning this project partway through," Huete-Pérez says. In that case, Nicaragua could suffer some of the environmental damage and social upheaval — but get none of the promised benefits. * Correction: This piece originally described Maersk as "the" company that operates super-sized container ships. It's one of several. -- Both Jonathan Watts in the Guardian and Joshua Partlow inThe Washington Post had some terrific on-the-ground reporting about the Nicaragua Canal. -- Pablo Fonseca's piece in Scientific American has some excellent detail on the environmental impact, including statements from a variety of conservation groups. 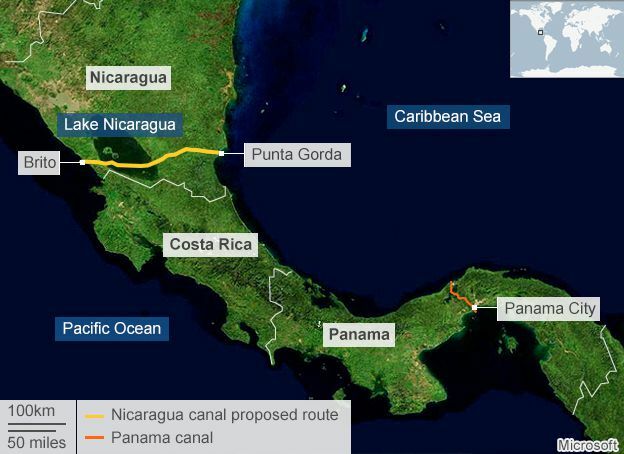 Who's behind the 'Nicaragua Grand Canal'—and why? Backers of the "Nicaragua Grand Canal" talk about a vibrant commercial waterway that will reshape commercial shipping, reap a windfall for investors and haul one of the hemisphere's poorest nations out of poverty. But the project's detractors—and they are many—are having a hard time understanding what, exactly, those pro-canal people are talking about. And they also question whether it's being driven by commercial interests, or Chinese geopolitics. About a year from the scheduled completion of a $5.2 billion Panama Canal extension that will let the existing waterway accommodate bigger ships, a Chinese consortium and the Managua government have said that they began work on a Nicaragua canal. The Nicaragua Grand Canal is projected to cost $50 billion, and HKND says it will be able to accommodate ships of up to 23,000 twenty-foot equivalent units (TEUs, a measure equal to 20 feet by 8 feet by 8 feet of cargo). That compares with the 13,000 TEUs that the Panama Canal will be able to accommodate after its expansion. Thousands of demonstrators march against the 173-mile Interoceanic Grand Canal that they say will negatively impact the environment, communities and Nicaraguan sovereignty, in Managua, Nicaragua, December 10, 2014. But the 173-mile Nicaragua canal project has generated criticism and skepticism, and lots of it. Industry experts question the level of demand for a second canal, its potential as a going business concern and the possible environmental impact in what is geologically unstable terrain. Many even doubt that the project will go much further than its paper proposal. "The vision is very significant, but the reality is, a lot of people, including myself, are very skeptical that this will happen," said Eric Farnsworth, vice president at the Americas Society and Council of the Americas, a group that promotes democracy and free trade. "There have been over 70 attempts to build a canal in Nicaragua, but it hasn't happened." Farnsworth cited Nicaragua's geological instability, including active volcanos and earthquakes, as one reason the Nicaraguan canal was never built in the first place. 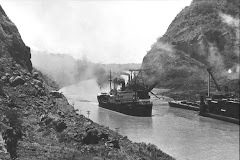 In 1902, Panama beat out Nicaragua for the American-built canal route, when the U.S. Senate voted for the smaller, more southerly nation by a mere eight votes. The canal played an important role in the recent U.S. West Coast ports strike, which forced some vessels to use the Panama route to get their goods to the East Coast. Meanwhile, Nicaraguan farmers opposing the canal construction have organized protests—some of which have become violent—because it would expropriate their lands. 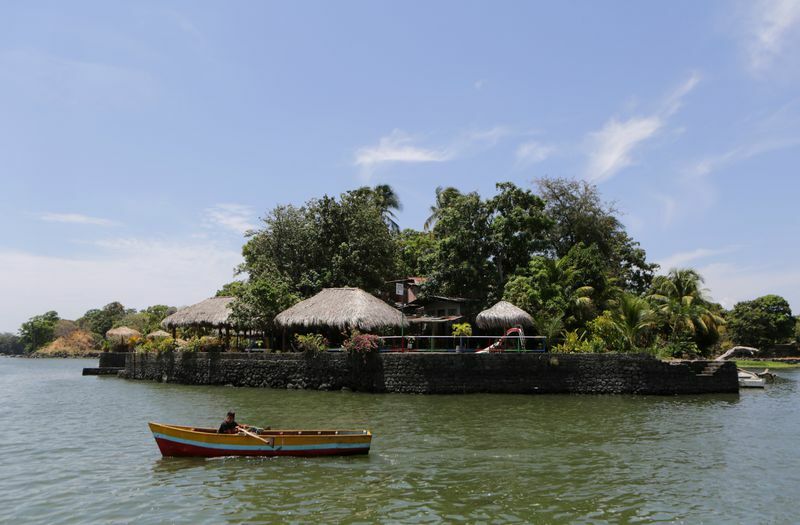 Activists have also voiced loud concerns over the canal's environmental impact, pointing out that it would require the dredging of Lake Nicaragua, the largest freshwater lake inCentral America and a critical water source. Like Farnsworth, a large number of experts who spoke to CNBC have more questions than answers about the project, but they all agree on one thing: There's not enough demand to justify a second canal so close to the Panama Canal. "I sincerely believe we don't need another canal. I don't think there's enough ship traffic to warrant the construction of another canal," said Bruce Carlton, president and CEO of the National Industrial Transportation League, a shipping industry advocacy group. Nicaragua refutes that argument. Telémaco Talavera, official spokesperson for the Nicaragua Grand Canal project, said that there will be demand from world shippers for their very largest vessels, which even the improved Panama Canal won't be able to accommodate. "The Triple-E type of ships won't be able to go through the Panama Canal, but Nicaragua will permit the passage of these ships," Talavera told CNBC, in an interview which like several for this story is translated from Spanish. "There will be a need for world shippers to reduce time, costs and pollution, and that will be an opportunity for Nicaragua and the rest of the region." 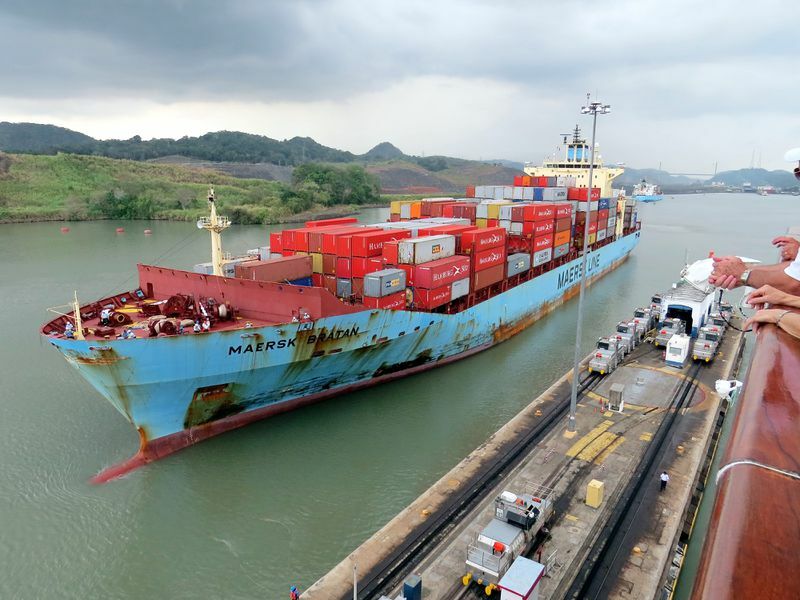 The Triple-E that Talavera refers to is a 1,312-foot ship, the largest ship by length that is operated by Maersk, the world's largest container-shipping company by capacity. But even Maersk cast doubt on the need for a Nicaragua canal. "It's not something we have a demand for, and we're not able, at this point, to tell whether we will use it," said Michael Storgaard, senior press officer at Maersk. "It may be so heavily priced that we may not use it. We don't know anything right now." Moreover, most ports in the United States won't be able to accommodate the larger ships that the Nicaragua canal is hoping to target, said Jean-Paul Rodrigue, a transportation expert at Hofstra University. He added that it would require a hugely expensive investment for U.S. ports to gear up for those types of ships. "The shipping industry is bleeding," Rodrigue said. "The current volume is not conducive for this type of investment." The shipping industry took a hit during the financial crisis when many economies' growth stalled and trade volume decline. Hong Kong-based HKND, which won the canal project on a no-bid basis and was granted a 50-year, renewable concession to run it, is betting on an industry comeback: "China should be expected to again accelerate its own economic growth in the coming decades, while many other countries will re-establish more respectable growth rates than those experienced in recent years," the group says on its website. But even a comeback in demand on a global basis doesn't warrant another canal in Central America, critics say. Any given waterway's future traffic volume is a bet that depends on economic trends on literally a global scale. "General demand may grow at a moderate rate, but not necessarily in the canal route, and not necessarily in the product category that would make the route profitable in terms of tolls," said Rodolfo Sabonge, a former marketing and development executive of the Panama Canal Authority, who was in charge of analyzing demand projections for the expansion project. Sabonge pointed out, for example, that Brazil has seen huge economic growth in Latin America, but anything that ships to or from a point south of Recife, depends on the Cape of Good Hope as its route to or from the Pacific. The Panama Canal expansion began in 2007, adding a third set of locks and doubling its waterway capacity. The current locks allow the passage of up to 5,000 TEUs, but after the expansion is completed, the canal will be able to handle the passage of ships with up to 13,000 TEUs. "We didn't decide the size of the new locks arbitrarily. We decided them based on a study of demand, and we chose the lock size that made sense for the next 15 years," he said of the Panama's Canal's expansion. 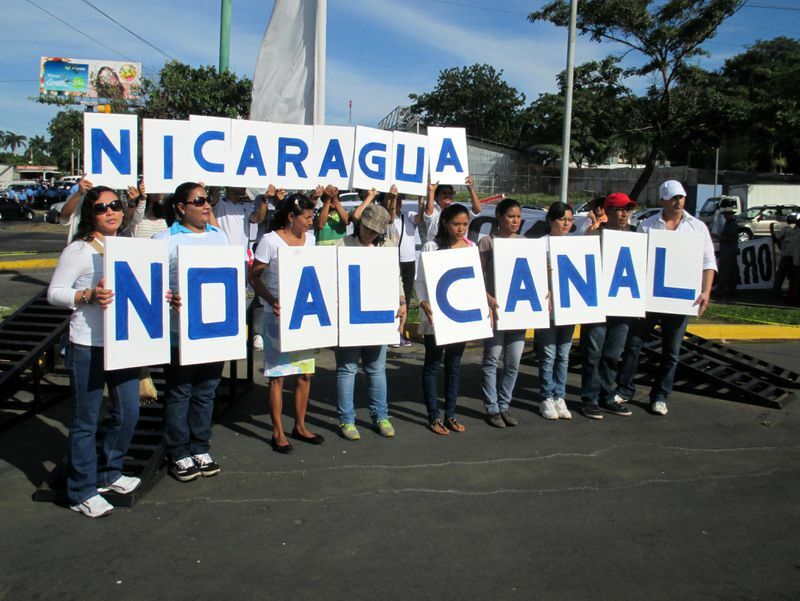 Nicaragua's motivation for the canal is obvious. The Central American country is the second-poorest country in the Americas, after Haiti, with 42.5 percent of its population living in poverty (2009). The project would generate 50,000 jobs during its construction phase, and another 200,000 jobs once it is in operation. Panama, a prosperous economy, with an economic growth rate of 8.4 percent, is in many ways a reflection of what Nicaragua could have been. "This will help the country to move forward socially and economically. It will be a development process that will help us get rid of our main enemy—poverty," said Francisco López, vice chancellor at the Universidad Central de Nicaragua. The development plans include the building of roads, two ports—one in the Pacific and another one in the Caribbean—an airport, a free trade zone and a tourism complex with hotels. HKND has approval to build some of the other elements even if it doesn't build the canal itself. The motivation for HKND is less clear, and the company did not respond to CNBC's repeated requests for comment. Given the project's expected costs of operation, the tolls in the much larger Nicaragua Grand Canal would have to be considerably higher than the tolls in the Panama Canal in order for investors to benefit from the project. The canal would need to generate an annual income of about $5 billion, explained Sabonge. But the Panama Canal, with a transit of 13,482 ships, carrying 327 million tons, generates annual revenue of only about $2 billion, according to 2014 figures. Naturally, the lack of an apparent financial feasibility has raised questions about whether the Nicaragua Grand Canal is a commercial project for HKND—or a geopolitical project for the Chinese government. "If an investor doesn't see that there's a viable option, or demand out there to make a profit, they wouldn't make an investment. That leaves the question of maybe it's coming from the government," said Chang Qian Guan, a professor at the U.S. Merchant Marine Academy. HKND and the Nicaragua government have both denied that the Chinese government is involved. It's worth noting as well that Nicaragua and China don't have formal diplomatic relations. China, however, has expressed interest in the past in building a railway across South America as an alternative to the Panama Canal. Most Chinese imports to and from the region travel through Panama. Controlling that passage would be a boost to China's commercial security, something that Beijing has already demonstrated—through its actions in the South China Sea, East China Sea, Africa and elsewhere—is a political priority of the first order. If Beijing is the project's real sponsor, then its essentially limitless pockets would mean big problems for Panama. "If there are geopolitical interests behind the building of the canal, and the investment returns do not matter, and nothing has to be repaid, then the Panama Canal would be severely affected. There is not enough demand for two canals," Sabonge said. "But if the Nicaragua canal has to adhere to what any other business has to, from an investment standpoint, I think the canal wouldn't be much of an impact for the Panama Canal," he said. 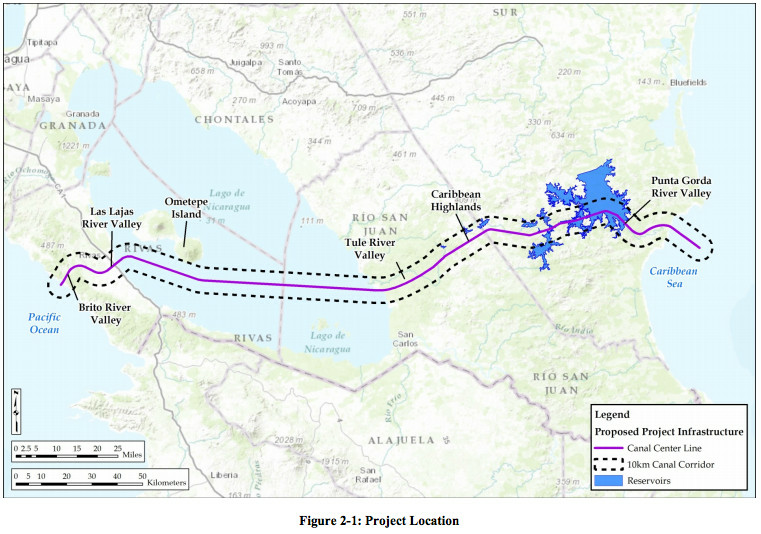 "Based on investment requirements, the prices of the Nicaragua canal would be very high, and the Panama Canal would be able to maintain its profits and lower prices."